Genesee County is a county in the U.S. state of Michigan. As of the 2010 census, the population was 425,790, making it the fifth-most populous county in Michigan. The county seat and population center is Flint (birthplace of General Motors). Genesee County is considered to be a part of the greater Mid Michigan area. The county was named after Genesee County, New York. 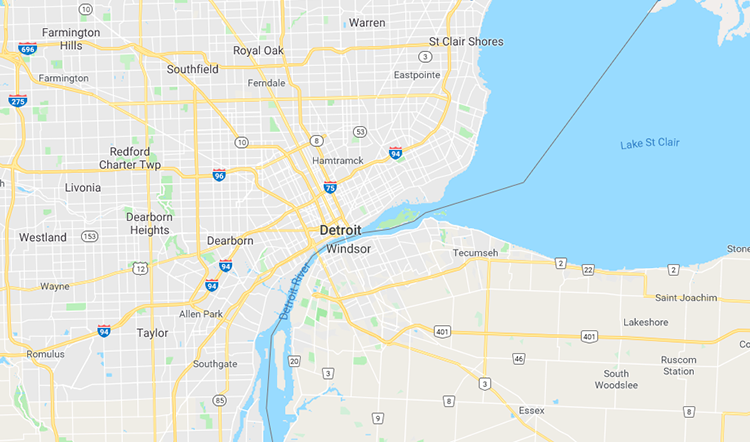 Genesee County comprises the Flint, MI Metropolitan Statistical Area and is included in the Detroit-Warren-Ann Arbor, MI Combined Statistical Area. Many local place names in the county, including the county itself, are also from New York and Pennsylvania, reflecting the pattern of settlement. A major attraction for visitors is Crossroads Village, a living history village north of Flint. Genesee is noted for having had the fossil of an ancient whale known as Balaenoptera Lacepede unearthed in Thetford Township during quarry work and estimated at 11,000 years old. According to the U.S. Census Bureau, the county has a total area of 650 square miles (1,700 km²), of which 637 square miles (1,650 km²) is land and 13 square miles (34 km²) (1.9%) is water. The 2010 United States Census indicates Genesee County had a 2010 population of 425,790. This is a decrease of -10,351 people from the 2000 United States Census. Overall, the county had a -2.4% growth rate during this ten-year period. In 2010 there were 169,202 households and 111,620 families in the county. The population density was 668.5 per square mile (258.1 square kilometers). There were 192,180 housing units at an average density of 301.7 per square mile (116.5 square kilometers). 74.5% of the population were White, 20.7% Black or African American, 0.9% Asian, 0.5% Native American, 0.7% of some other race and 2.6% of two or more races. 3.0% were Hispanic or Latino (of any race). 18.0% were of German, 11.0% Irish, 10.6% English, 5.5% Polish 5.4% American and 4.8% French ancestry. , There were 169,202 households out of which 32.6% had children under the age of 18 living with them, 43.3% were husband and wife families, 17.2% had a female householder with no husband present, 34.0% were non-families, and 28.4% were made up of individuals. The average household size was 2.48 and the average family size was 3.03.